Welcome To Wholesale Guitars, we are a locally owned music store, located in MIdlothian Va. We specialize in teaching beginners music lessons of all kinds. We offer Guitar Lessons, Bass Lessons, Violin Lessons, Piano Lessons, and More. We also rent band and orchestra instruments. We have been serving Richmond Va, Chesterfield Va and Midlothian Va since 2006. 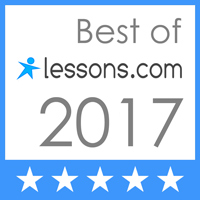 Your Home For Guitar Lessons in Midlothian Va.
Start affordable guitar lessons, banjo lessons, violin lessons, piano lessons, vocal lessons, ukulele lessons and much more, at Wholesale Guitars today. Be sure to ask how you can earn FREE lessons just by bringing a friend. Call us today. School Band and Orchestra Instrument Rentals or Rent To own. All the top brands such as Yamaha, Bach, Conn-Selmer and many more available, as well as all your accessories and repairs done on site. Rent from home by clicking the VIR logo Below, Pay one month and get the next two months "FREE". We can also ship the instrument straight to your home. Dedicated to providing Quality as well as Affordable guitar Lessons and Instruments to players of all levels and ages, from Children's and Kid's guitars, to the true performance level guitars. We also have Ukes or ukulele, Violins, banjos, mandolins and much more. We are musicians sharing our love of music with others by offering guitar lessons, bass lessons, violin lessons, mandolin lessons, piano lessons, Ukulele lessons and a number of other instruments. Do you want to become the real guitar hero in your neighborhood? Do you live in Richmond, Chesterfield or Midlothian? If so, call us today or come by and visit us at 10922 Hull St. Rd. in Midlothian Va. to set up your lessons with one of our instructors. Wholesale Guitars, Your home for guitar lessons, Band Rentals, Orchestra Rentals, Music Rentals, in Midlothian Va.